Cecilia Laker will always remember with a shudder the aftermath of the operation on her knee at a busy English hospital two years ago. Recovering from surgery, she was put in a packed six-woman NHS ward, where a seventh bed was squashed into the centre for an extra patient. On the day she arrived for the operation at the hospital in Ashford, Kent, she was last on the list of five patients for knee surgery. The others were all men, but some of them were told to go home because there were no beds available for them afterwards. 'The men's wards were full. I would have been angry if that had happened to me,' she says. 'As a result I was fast-tracked for my surgery. The nurses suddenly came to me and said, 'We have to get you ready right now'. It was rather unnerving.' 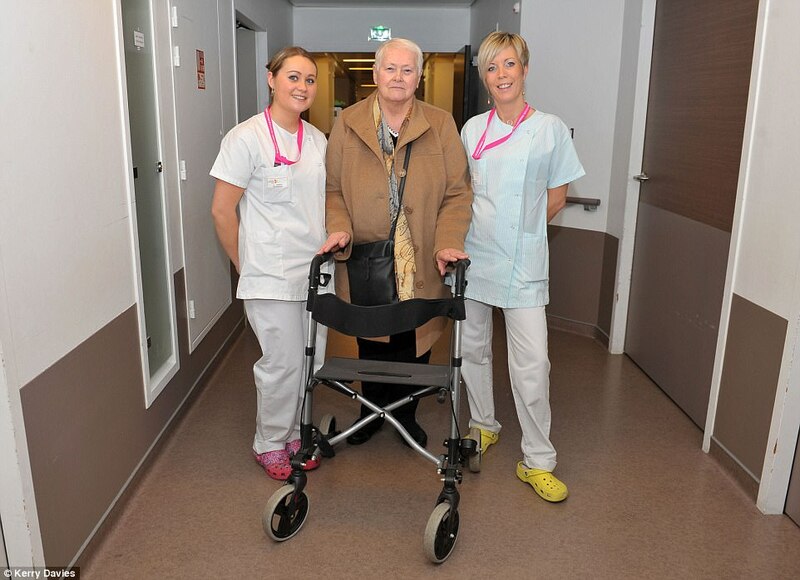 After three days in the crowded ward — when she could just manage to hobble to the bathroom — Cecilia was told it was time to go home because another person was waiting for her bed. 'As each patient left, the nurses immediately wiped down the bed and then put in the next. It was one out and one in,' she recalls. 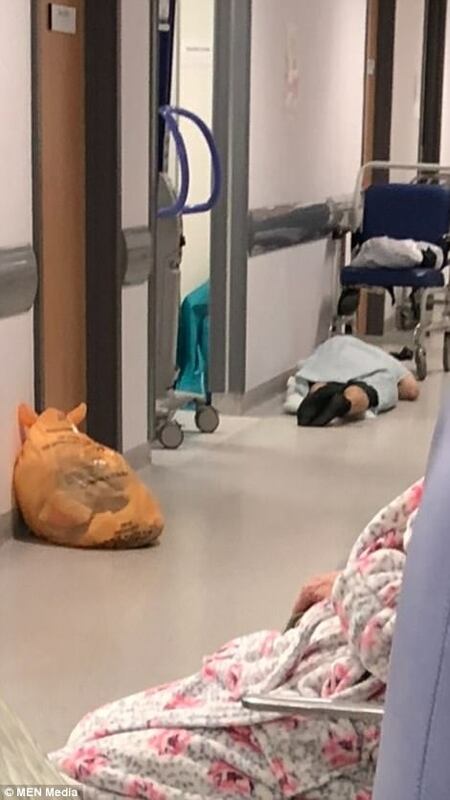 Despite this dispiriting experience, Cecilia, 71, a retired shipping line cashier from the Kent coastal town of Folkestone, says the NHS operation was a success. A widow for eight years, she has been able to spend her time visiting friends, travelling abroad and driving to visit beauty spots on the Kent coast. Now, her other knee — the right one — has been playing up, and she desperately wants that fixed, too. For that reason, determined not to go through the same experience again, she has turned herself into a pioneer in a revolution which could take pressure off the beleaguered NHS by dispatching patients for free medical treatment 21 miles across the Channel in France. 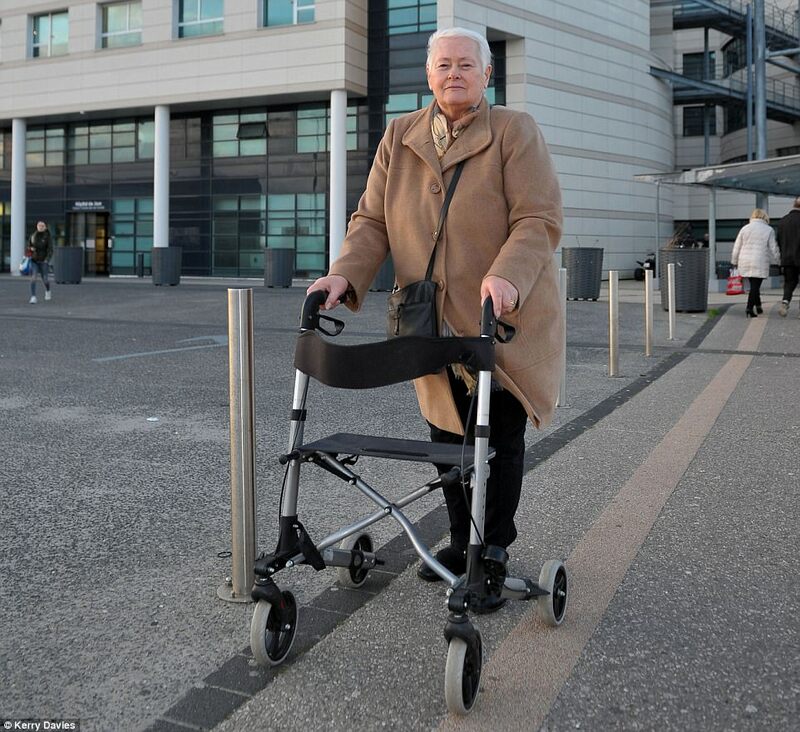 When, last autumn, she went to her local GP surgery and said the joint was terribly painful and getting worse, her doctor referred her to the same orthopaedic consultant at William Harvey NHS hospital, in Kent, who had operated on her before. Yet her hopes of a swift cure ran into trouble. 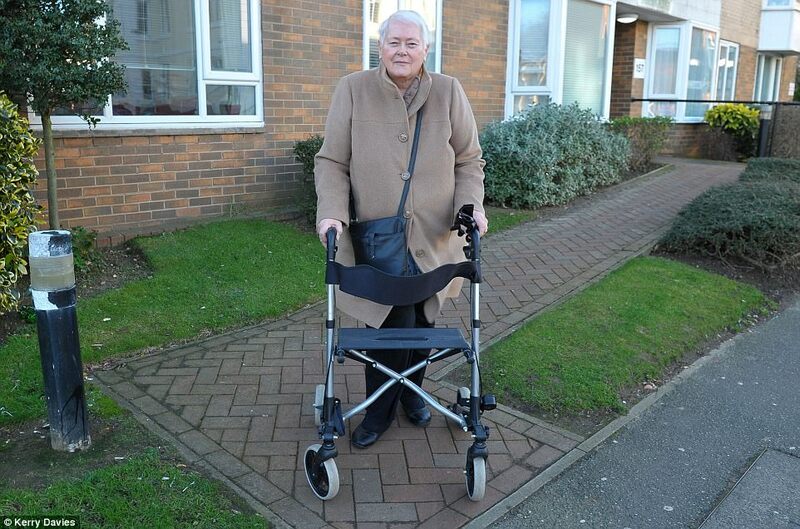 The consultant said his 'hands were tied' because there was a long waiting list for knee replacement surgery. It might be five months before she had the operation — or even longer. 'That would take me into May this year, or even into the summer. The pain was bad and I was having trouble walking even short distances,' she told me this week. She knew the NHS was facing an escalating crisis because of the flu epidemic, a dire shortage of nurses, and the ever-increasing medical demands of a growing population. The William Harvey hospital, 12 miles from Folkestone, says the current waiting time for knee replacements is now much longer than when Cecilia first inquired last year. According to its website this week, it stands at 24 weeks for 90 per cent of patients. It was while Cecilia was trying to work out what to do for the best that she remembered an article in her local Kent newspaper. It was about a Calais state hospital — 35 minutes away by train through the Channel Tunnel from Folkestone — which was advertising for NHS patients. 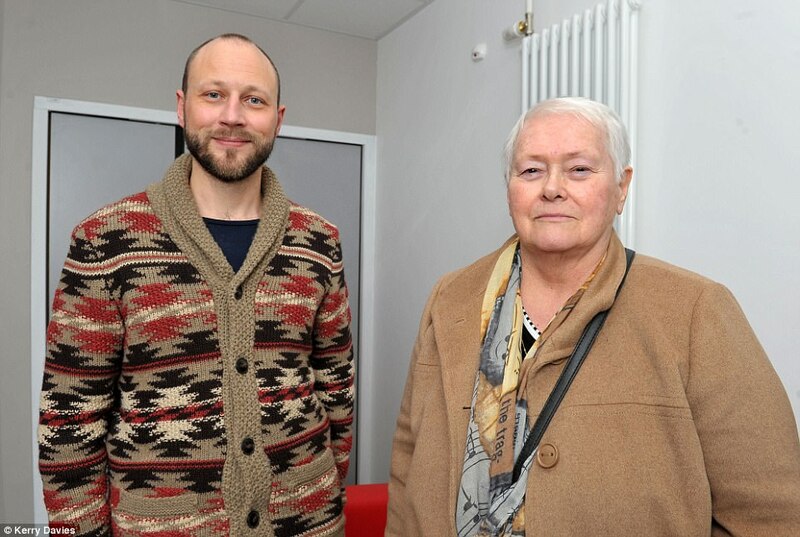 Two years ago, the Centre Hospitalier de Calais signed a revolutionary agreement with NHS England, the public body that oversees the day-to-day running of the health service, to offer patients free medical treatment. 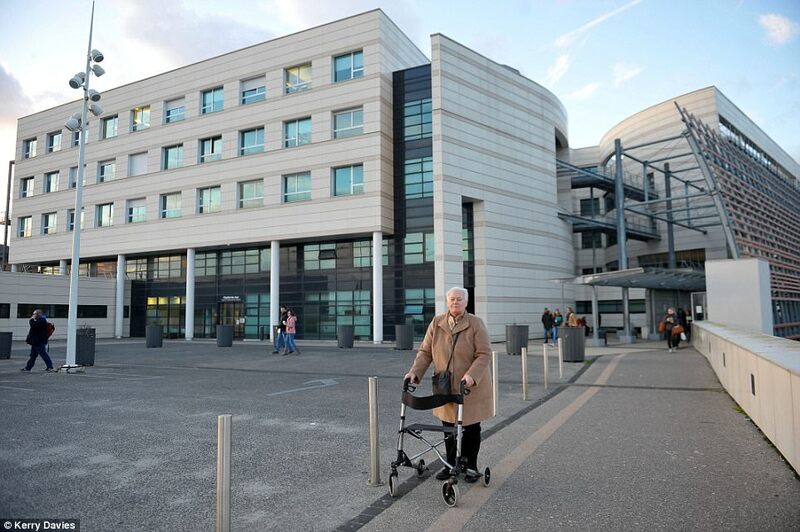 It was one of only two hospitals in France to do so (the other is in the less-accessible Berck-sur-Mer, 59 miles from Calais) and is actively trying to lure NHS patients. Under the little-known deal, any patient in England — though not Wales or Scotland — can ask their GP to refer them there. The hospital stands in a green, open space a few minutes from the cross-channel train and ferry terminals, and its website has a special section for English patients. 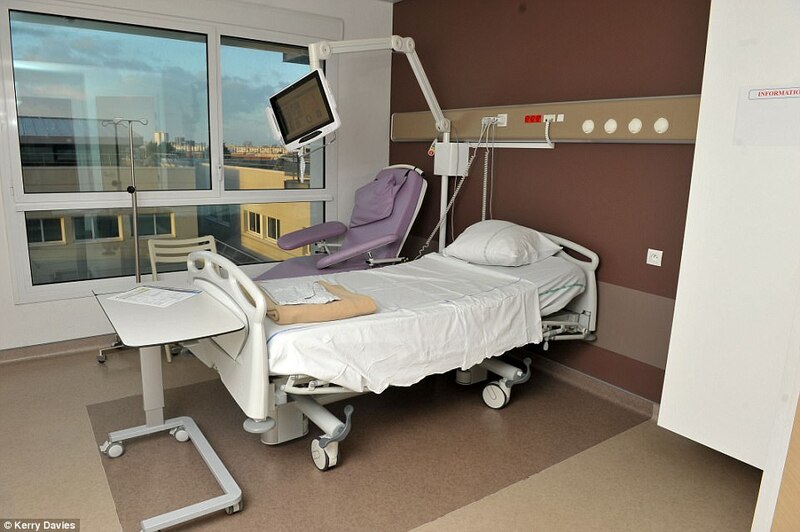 The hospital says that it offers elective, pre-arranged, non-emergency care in general surgery, gynaecology, orthopaedics, urology, pain management and for ear, nose and throat problems. They are just the sort of operations that have been put on hold in the tens of thousands by the NHS this winter. A determined Cecilia went back to her GP's surgery in late November and announced she wanted her knee operation in France. Would the doctor refer her to Calais? The answer was yes. 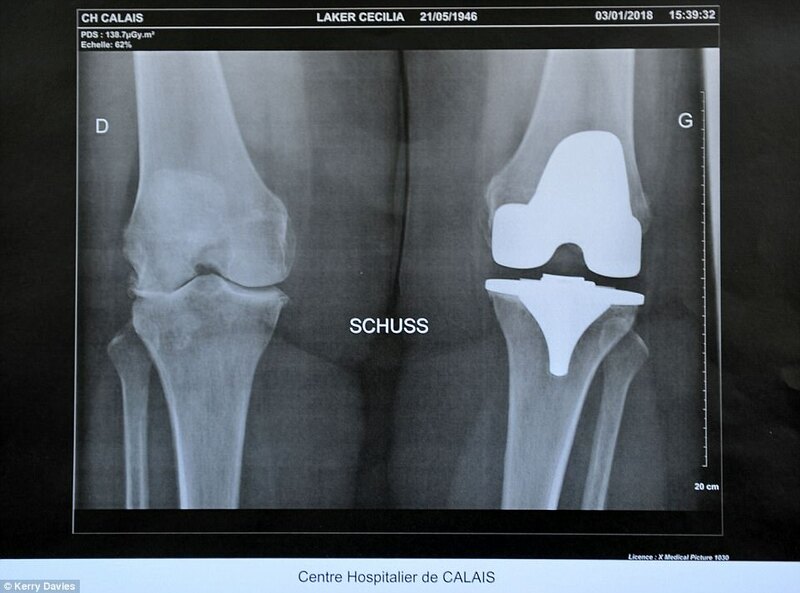 The surgery contacted the Calais hospital, which offered Cecilia three immediate appointments with their orthopaedic consultant. She chose the earliest date, January 3. 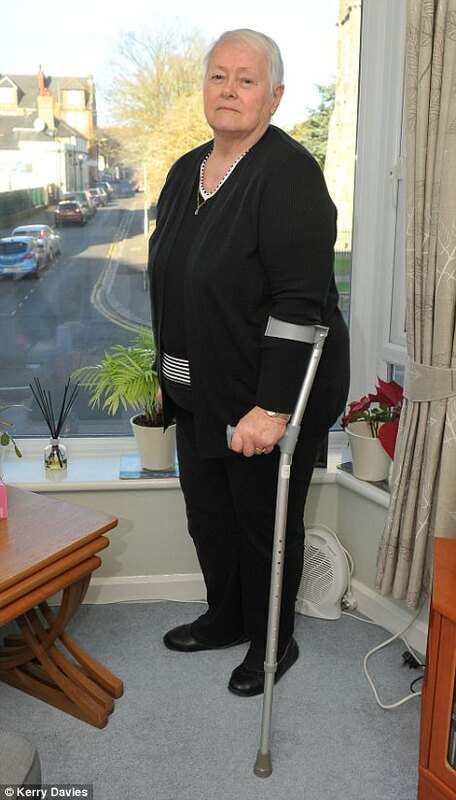 Cecilia saw the consultant and then had two scans taken of her knee. She says the doctor's English was good enough to be understood, and when there was any problem, a nurse helped out. She has returned to the Calais hospital since then (again on the train) to get the results and will have her operation next month. It has all gone like clockwork — and, so far, has cost her only £120 in return train fares. Her delight does not surprise the Calais hospital's general manager, Martin Trelcat. In his office, he has a blue poster on the wall, which the hospital has handed out to UK tourists in Calais, calling for NHS patients to sign up. 'Why wait?' it asks provocatively. 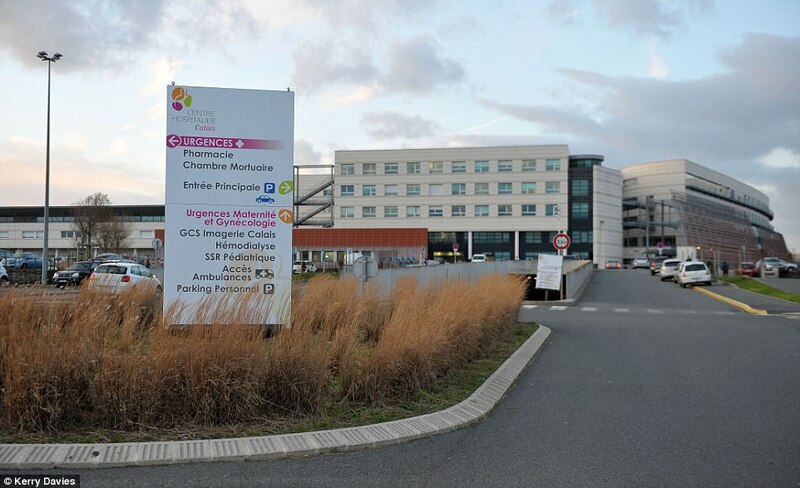 'Calais General Hospital offers elective surgery to NHS patients within four weeks. 'All health expenses are covered by the NHS. Stop waiting . . . ask your GP for information.' He is proud of his 'roll up, roll up' approach, which is so different from the overstretched NHS. 'Calais is closer to London than Paris,' he explains emphatically. 'We could take in around two new English patients every day, Monday to Friday. It would mean 400 a year. We can even treat someone within a week of their GP's referral. That is the way it works for French patients, so why not NHS patients? We don't have waiting times here. The first NHS patient to go to the hospital was Timothy Brierley, a civil servant from Kent, who had a successful gall bladder removal in spring 2016. Brierley, 54, was facing a ten-month wait for the op in the UK, and lives 15 minutes' drive from the Channel Tunnel train terminal. Since then, other English patients have received treatment at the hospital. And when last weekend it put out a call on the internet for English patients, the hospital immediately received nearly 20 inquiries from anxious Brits wanting to escape current NHS queues. Every day more come in, says M Trelcat. Cashing in on our deepening health service winter crisis, the hospital said: 'At a time when planned surgeries are cancelled in all NHS hospitals, we have the capacity to offer fast care to any NHS patients . . . No extended delay is to be expected during winter time'. At 38, M Trelcat is one of the youngest hospital directors in France. He got his job soon after his hospital was opened in 2012 at a cost of millions of euros to the French government. Serving a population of 180,000, it replaced a hospital built in the Seventies. The French said the old one was redundant because, incredible as it sounds to Britons used to packed NHS wards, it had too many two-bed rooms, instead of what the French call 'solo' ones. The next nearest hospital is in Dunkirk, 29 miles along the north French coast. 'We did not want our local people travelling that far to hospital, so we built a new one,' adds a triumphant M. Trelcat. All this is fine and dandy. But this magnificent medical establishment, with 590 hospital beds and a further 350 for patient rehabilitation, is responsible for helping to repay the original building costs — and that means finding patients. The uptake from NHS patients until the current NHS crisis has been disappointing. Just a trickle has arrived, despite the Calais hospital advertising on the internet and giving a number of interviews on British television. Now Cecilia is getting excited about going to France and, finally, being out of pain. The Mail took her to Calais this week to meet her nurses, 23-year-old Anais, and Melanie, 35, two of the five who will care for her during her week-long stay. She was shown a large, white, one-bed room with large windows where she will recover, with free meals and medicines courtesy of the NHS, which will refund the French hospital. Our health service will also meet the fee for her operation, which costs the NHS tariff of £9,251. She can pay for an internet and TV connection for only £4.40 a day. 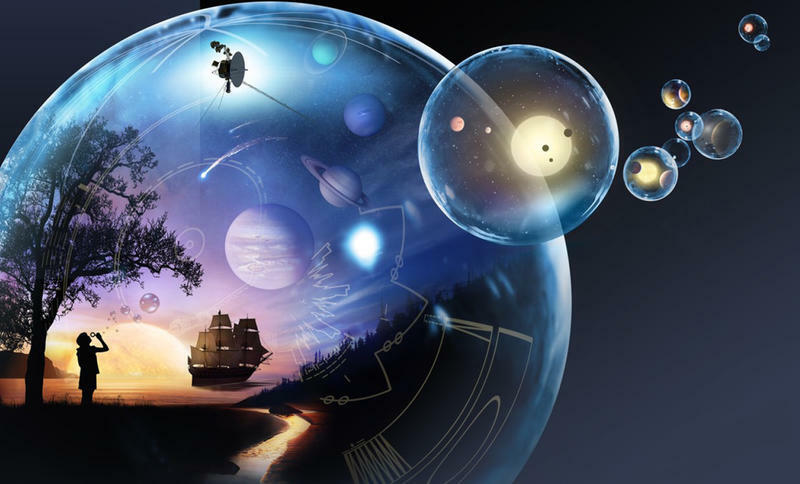 If there is a catch in all this, I'm not sure what it is. One of the big stories of the week was that France will loan Britain the Bayeux Tapestry. After visiting Calais this week, I only wish they would lend us a few more of their hospitals, too.